A crippling blizzard is going to strike the Midwest Wed/Thur. 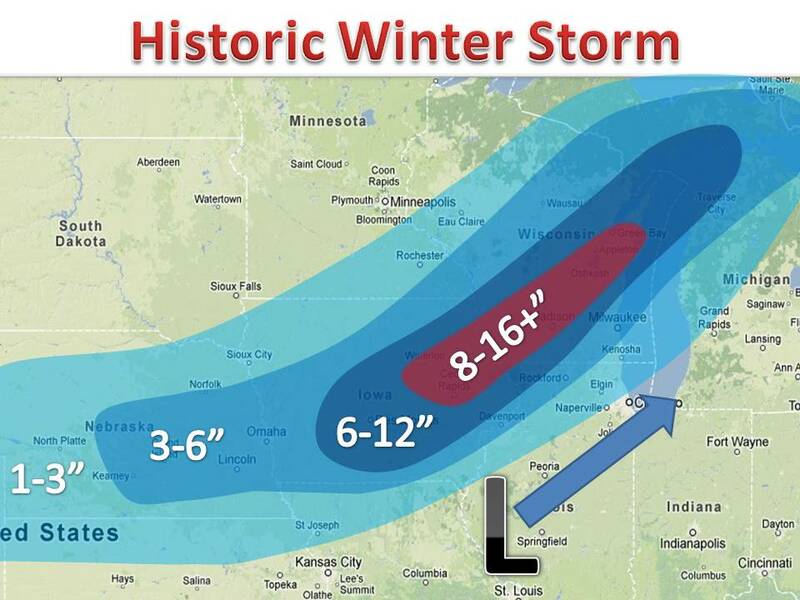 Central Iowa up to Green Bay looks to be the hardest hit. MANY areas will see a foot of more of snow, with winds gusting over 40mph. Blowing and drift will be a problem and some travel may be impossible. Schools will close Thursday and drifts to 4 feet can be expected. Models are finally coming together on the track, so the snow map was made with a good amount of confidence. We will narrow down amounts and the storm gets closer. Expect blizzard warnings to go in effect starting Wed night.